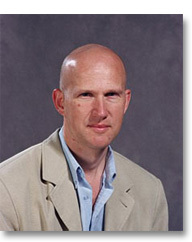 Professor John Schad studied for his BA at the University of York and his PhD at the University of Wales. Before moving to Lancaster in 2006 he taught at Loughborough University. Professor Schad's main areas of research are: critical-creative writing; modernism; Victorian writing; literary theory; and the relationship between religion and literature. These interests are reflected in his major publications - his five authored books: namely, Someone Called Derrida: An Oxford Mystery (Sussex), Arthur Hugh Clough (Northcote House), Queer Fish: Christian Unreason from Darwin to Joyce (Sussex), Victorians in Theory (Manchester UP*), and The Reader in the Dickensian Mirrors (Macmillan); and his four edited books: namely, Dickens Refigured (Manchester UP); Thomas Hardy, A Laodicean (Penguin); Writing the Bodies of Christ (Ashgate); and life.after.theory (Continuum). This last book includes new interviews with Jacques Derrida, Frank Kermode, Toril Moi, and Christopher Norris. Professor Schad's most recent book, Someone Called Derrida, is a novelistic attempt to combine traditional archival scholarship with memoir, investigative history, detective fiction, and Oxford; it is, in a sense, a book that explores the space between critical and creative writing. The opening chapter will be dramatised and performed on BBC Radio 3's The Verb in October 2009. In this connection, it is worth noting that Professor Schad is General Editor for a new series of experimental monographs called critical inventions (http://www.sussex-academic.co.uk/sa/titles/SS_Critical/_critical.htm). The series includes titles by Thomas Docherty, Roger Ebbatson, J.Hillis Miller, Kevin Mills, David Punter, Jean-Michel Rabaté, and Michael Wood. Professor Schad is currently working on a novel called I Am Not Walter Benjamin. It concerns a man on a post-war council estate near Watford who thinks or says he is the late Walter Benjamin; this peculiar figure only ever uses the words of Benjamin. Drawing as it does on the political history of the estate I Am Not Walter Benjamin is, if you will, a work of social sur-realism. The opening scenes were read and discussed on BBC Radio 3's The Verb in January 2009, and the first chapter will appear in Mark Knight (ed. ), Religion, Literature and Imagination (London: Continuum, 2009).